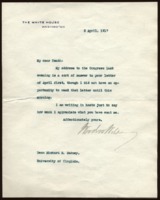 Date is exactly "1917 April 3"
George Harvey Praises Woodrow Wilson’s patriotism in his war message. 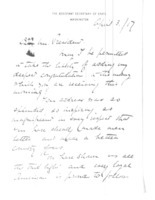 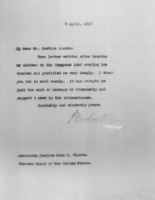 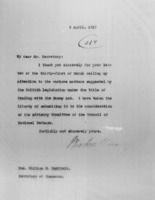 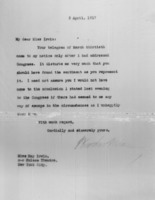 Woodrow Wilson writes to Richard Heath Dabney, regarding his address to Congress. 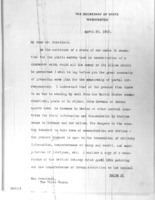 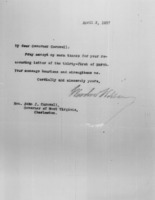 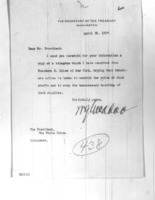 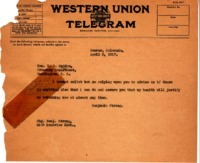 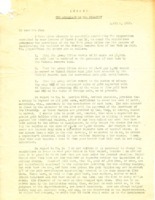 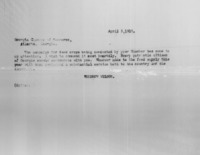 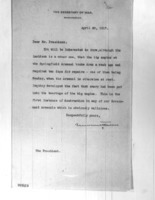 McAdoo is forwarding a telegram urging action to control food prices. 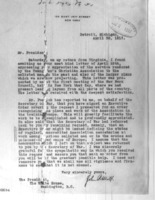 Lansing suggests that Wilson consider a plan to censor postal correspondence. 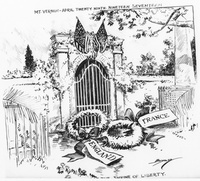 Lansing warns against possible political moves by Germany. 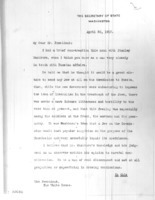 Lansing warns against sending anyone of Jewish descent to Russia as part of the Commission. 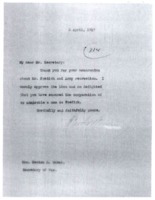 Baker is informing Wilson of malicious destruction at one of the arsenals. 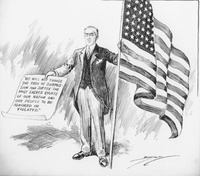 Woodrow Wilson thanks Norton, Lilly and Company for their patriotism. 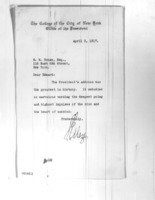 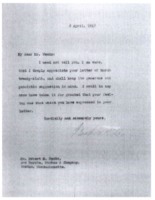 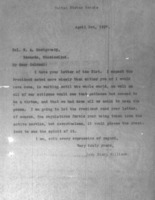 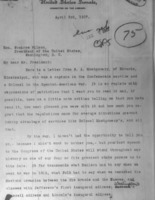 Joseph P. Tumulty to Benjamin Strong Jr.
Joseph P. Tumulty writes Benjamin Strong Jr. to acknowledge receipt of Strong's letter to the President. 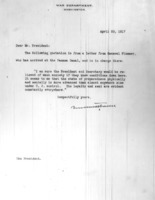 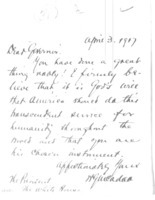 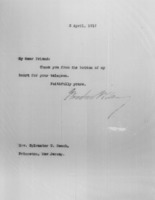 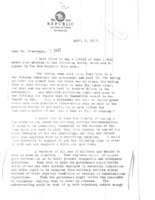 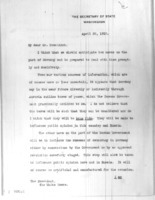 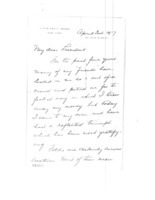 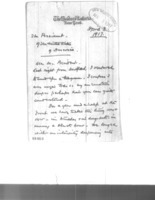 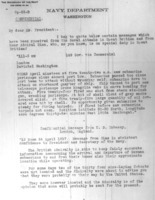 Benjamin Strong Jr. writes William G. McAdoo to say that he cannot enlist, but wants to know if there is anything else he can do. 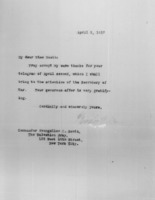 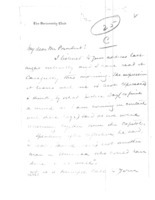 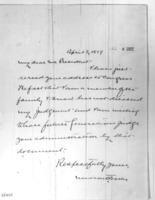 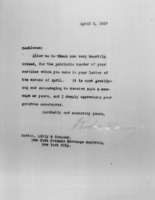 William G. McAdoo writes to Pierre Jay regarding the gold exchange.